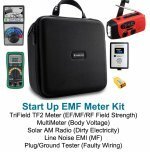 Our EMF Experts course material is qualified Engineer Continuing Education credit, as recognized and required by the various independent USA State Boards in order to annually maintain professional Engineer qualification, which is termed Professional, Registered, Licensed, Sanctioned, etc, as determined by each State, in order to do business with the public. Additionally: This course material is also recognized, accepted and/or approved professional development hours by numerous other professions (public health, builders, etc) that are similarly required to complete continuing education in order to maintain professional credentials. Please check with the governing board related to your individual situation. EMF Expertise in Action course- self guided (self paced) online training, delivered on a university-style learning platform, provides 14 contact hours of qualified continuing education, open to registration on an ongoing basis and can be completed within a day or two if necessary, culminating in a certificate of completion and official training receipt that can be used towards credit of certification training at a later time (see the current training brochure for up to date training, course syllabus, costs etc). 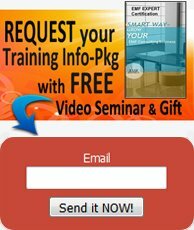 EMF Expert Consultant Certification course - interactive online webinar training providing 21 contact hours of qualified continuing education that is taught in person by Chris Young, PE, and delivered on an online live-webinar platform, over a period of 6 or 12 weeks (2 different course lengths, same course content) offered at various times throughout the year. 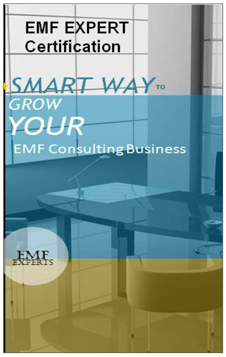 This training leads to official diploma and a professional directory listing, signifying completion of the prescribed course of study for achieving EMF Expert Consultant Certification.